The Festival is already SOLD OUT – sorry! We are selling all our merch items for 7.99€ at present. Please check out our Official Merch Store at Big Cartel here! Sorry for not posting not too much news the last weeks. Today will be the last rehearsal before we will play our anniversary show in Hamburg at the ship Stubnitz. 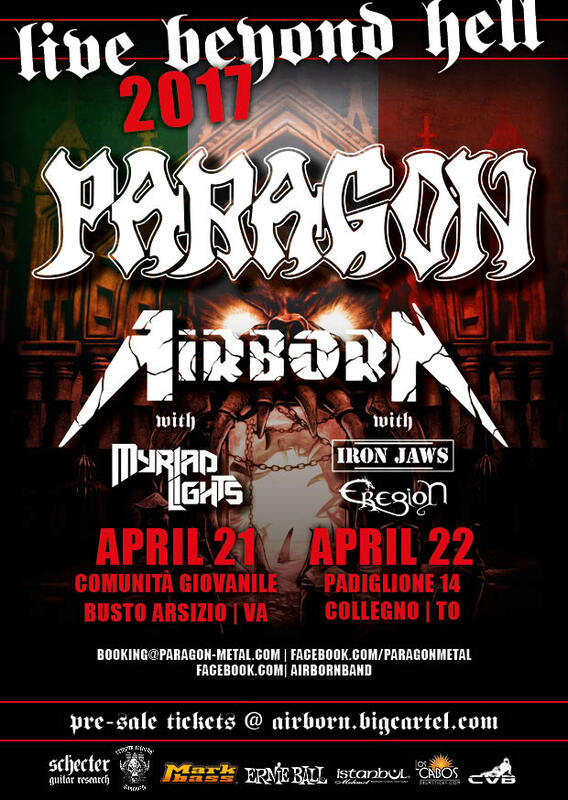 So we spent the last weeks to rehearse our 22 songs two hour set to deliver the best Paragon show ever. This will really be a night to remember, because the first set will consist of our legendary „Law Of The Blade“ Album from front to back and the second set will be a best of set with some friends and special guests on guitars and vocals. So if you have got no tickets yet check out this link. after the show we will come out and take photos, sign you merch and have some beers with you. So we are really looking forward to meet a lot of friends this special night! 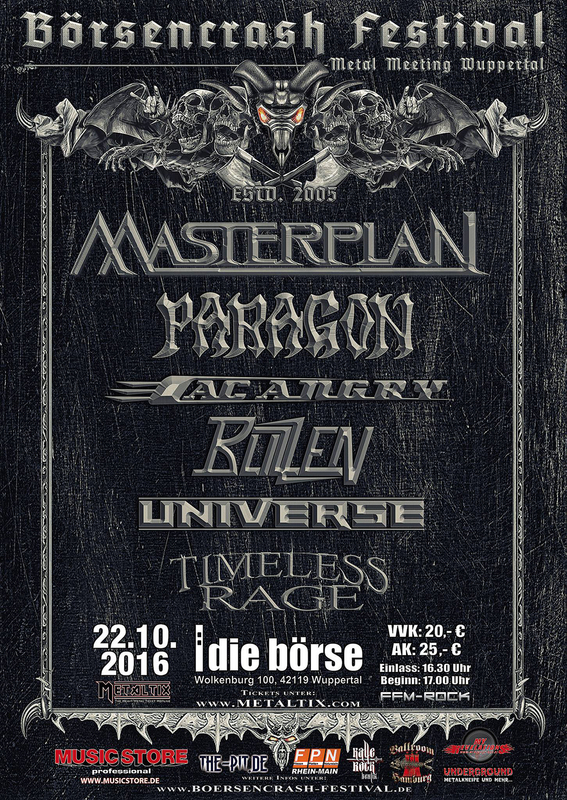 Check out this cool drumcam video of Sören Teckenburg beating his drums to our song Impaler at the Börsencrash Festival 2016! You will find a little review of our latest album „Hell Beyond Hell“ at the page of UK´s IRON FIST here. Check it out! 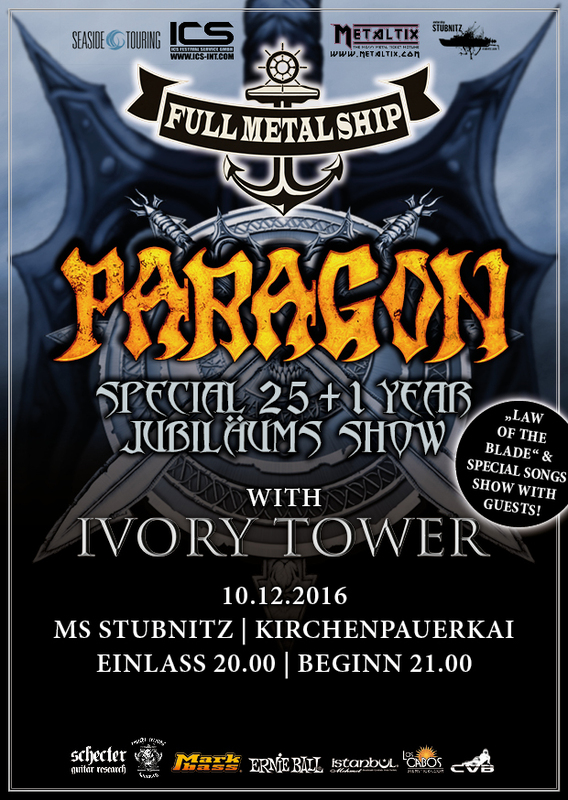 Only about a month left until we hit the stage at the ship Stubnitz in Hamburg to play our 26 anniversary show. This show will be something VERY, VERY special and not a show we will repeat anytime soon. So this will really be a night to remember. – First set will be our album „Law Of The Blade“ from front to back. – Second show will be a set of 13 songs including a few we not played before or not played for a long time. – If everything works out we will have about seven guest that will play and sing some songs with us. – The location is awesome, just take a look on the pictures of the website of the ship! So if you don´t want to miss this one time event get your tickets now! You can buy them HERE. Sorry if there are not too many news at present. Because of some personal reasons we took a little break for a few weeks and now just started writing songs for the next album. So far we have ideas and riffs for four numbers and we are working on the arrangements at present. Of course we are also preparing a setlist for the Börsencrash Festival 2016. Check out and share the flyer! 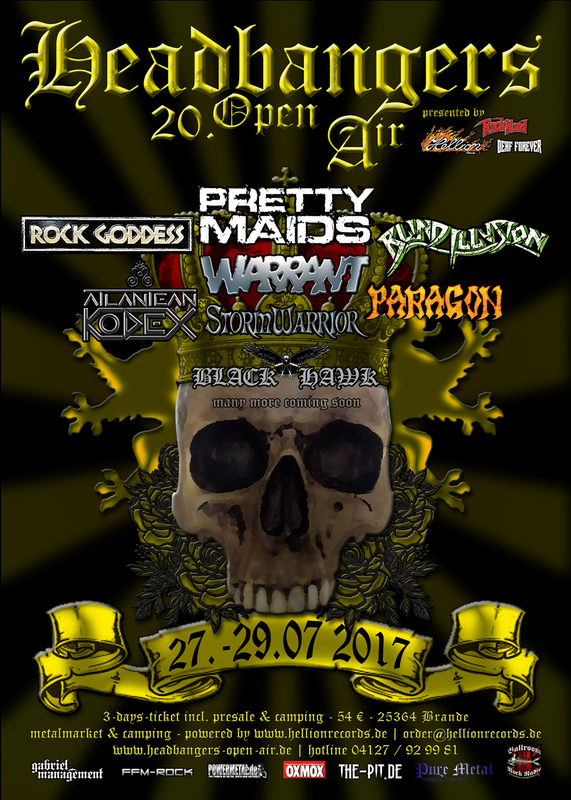 We are confirmed for the 2017 edition of the Headbanger´s Open Air. We were the band who started it all, played the first edition and played several shows at the festival over the years. So we are very happy Thomas Tegelhütter asked us to return for the 20th anniversary in 2017. At present we are thinking about doing something special, but we are not sure yet. So stay tuned! Here is a cool review for our Gereman speaking fans from the Metal Bash 2016 were we played a show alongside bands as Shadowbane and Venom. Check it out at the website of Powermetal.de here.